Lent is a period of preparation, examination and discernment. Journey through this solemn period with the parish community by taking part in the various activities that we have lined up. Spend an hour with the Real Presence of our Lord Jesus Christ. The Adoration and Exposition is a truly blessed opportunity to put ourselves in front of the Lord with all our burdens and cares and be comforted by His loving Presence. Let’s take a break from our busy lives and together as a community pray as we reflect on the suffering journey of Christ. We have a beautiful new set of Stations of the Cross at St Teresa’s – let us use them to accompany Jesus to Calvary. We will watch a series of videos called Beloved Disciples, followed by a discussion, tea, coffee and cake! More details. 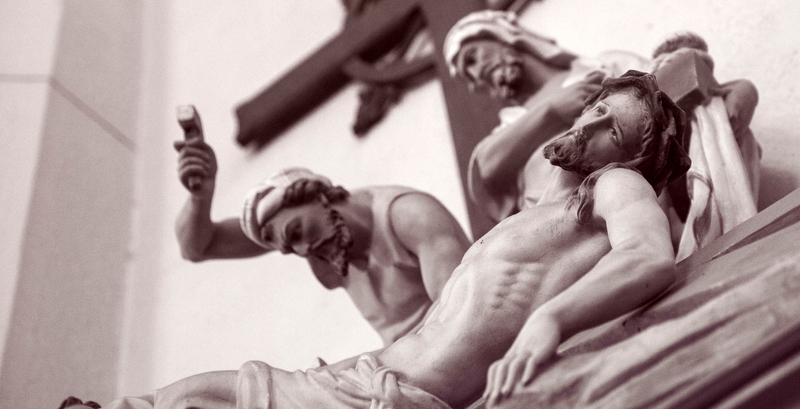 For Holy Week Mass times, please click here.